Hey there! 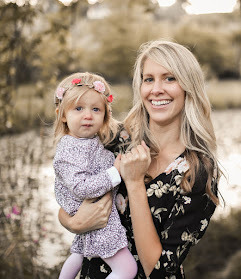 If you're new to my blog, I'm Emmie and I love to share my DIY projects and free printables! 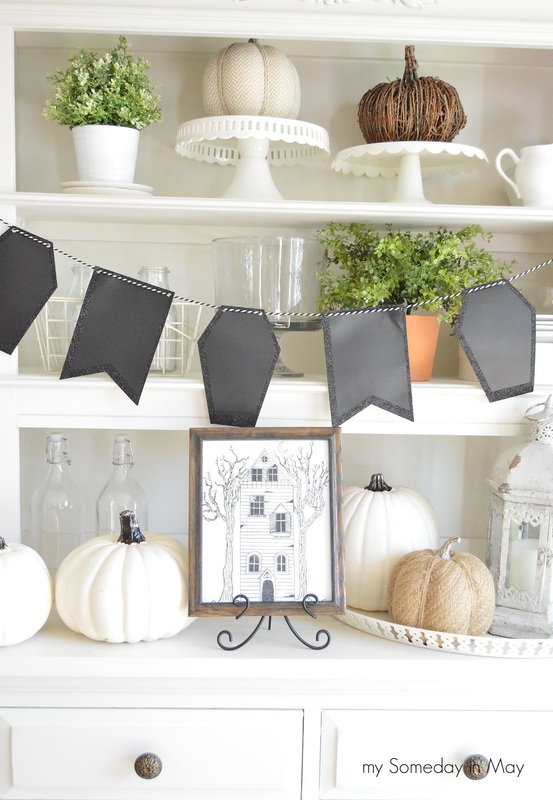 I'm so excited to be a part of this spooooky Halloween Printable blog hop! Thank you so much Kristen from ellaclaireinspired.com for putting this together! Halloween might be my favorite. I start decorating for Halloween in September and dance around the house to "This is Halloween" and "Monster Mash" until Halloween. This year I drew a spooky Haunted House to add to my Halloween décor. I love to decorate my hutch for Halloween! I just grabbed some pumpkins from Michaels and a banner from the Target dollar spot to add some spookiness to my vignette. I also like to add glass bottles, candles, and lanterns around the house for Halloween! 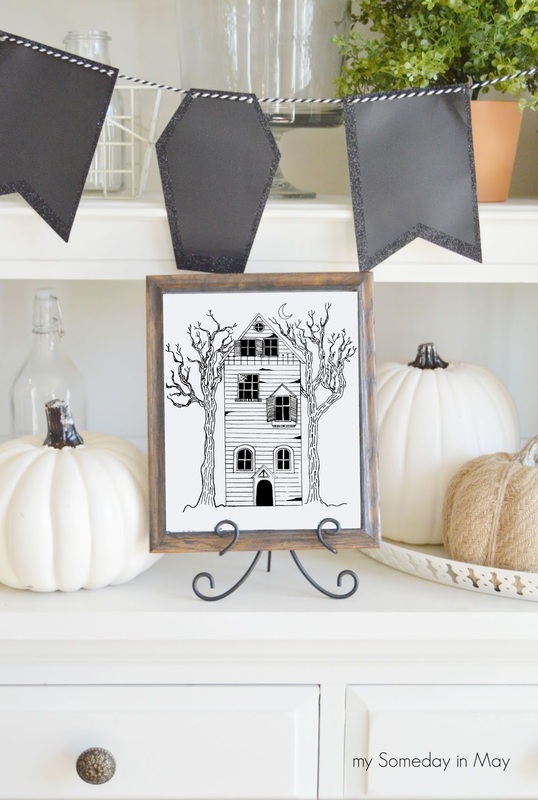 If you'd like to print out my Haunted House printable you can find it HERE. Don't miss these other SPOOOKY Halloween Printables! Love this printable and the entire vignette, Emmie! My kind of Halloween. This is really cute and I love how you displayed it! 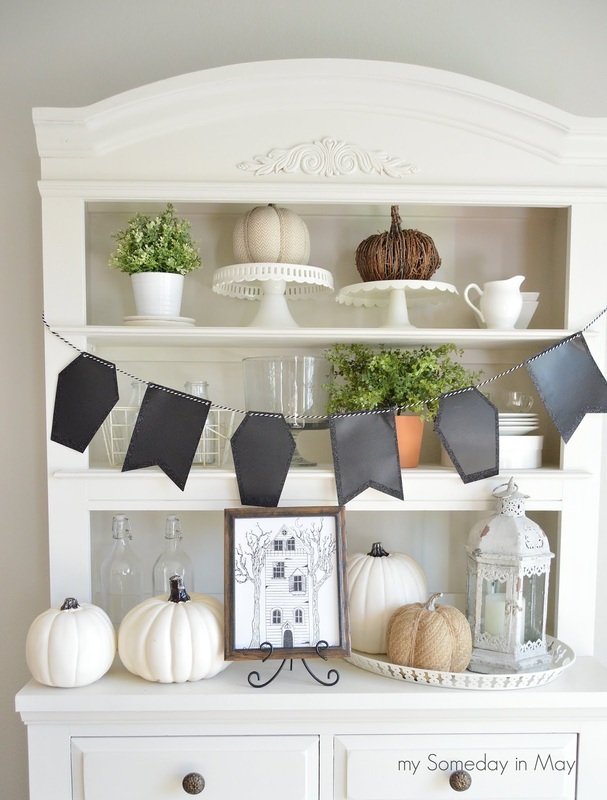 I love how you've created a farmhouse vignette with your printable. I laughed as I pictured you dancing around the house to Monster Mash. I seriously LOVE Halloween, too.